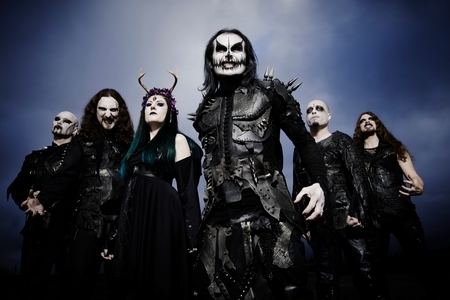 British extreme metallers CRADLE OF FILTH have announced they have re-signed with Nuclear Blast Records. 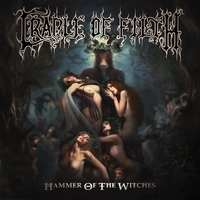 CRADLE OF FILTH vocalist Dani Filth commented “Nuclear Blast owner Markus Staiger has been trying to snare the band ever since I flew over to see him way back in 1996 as a viable label option, after we left Cacophonous Records. He barely missed out due to the close proximity to the band of Music For Nations, the label that CRADLE stayed with until 2001. Now, not only do Nuclear Blast have offices all over the world, but the one in London is actually dead opposite to the old MFN building! Which is weird! “For the full frontal assault we have planned for the awesome new album, Nuclear Blast are the perfect war stallion to carry us screaming into the heart of the next chapter of CRADLE OF FILTH’s dark, enigmatic history. 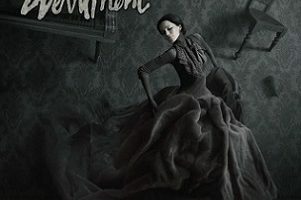 CRADLE OF FILTH’s new album will mark the first release with the band’s new lineup, which includes new guitarists Ashok (of Czech groups ROOT and INNER FEAR) and Richard Shaw (of English acts EMPEROR CHUNG and NG26).